Nearly a quarter of a million women in the US will develop breast cancer in a given year. Cancers may be caused by environmentally-induced or inherited genetic mutations. In this activity students will perform agarose gel electrophoresis as a molecular diagnostic test for hereditary breast cancer. Students will use the test results to predict the patient’s risk of developing cancer. Students will also learn how to analyze a family pedigree all while employing NGSS Life Science Disciplinary Core Ideas LS1 and LS3 (From Molecules to Organisms: Structures and Processes and Heredity: Inheritance and Variations of Traits). This kit includes enough materials to run 3 gels. 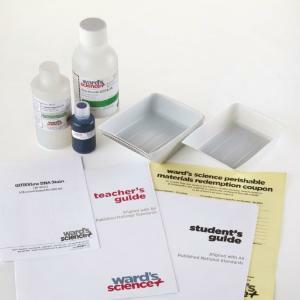 Pre- and Post-laboratory assessments and vocabulary words all target specific Science and Engineering Practices and common core standards. The teacher guide also contains specific "Did You Know" concepts that link the real world with scientific standards explored. A student copymaster is also included. 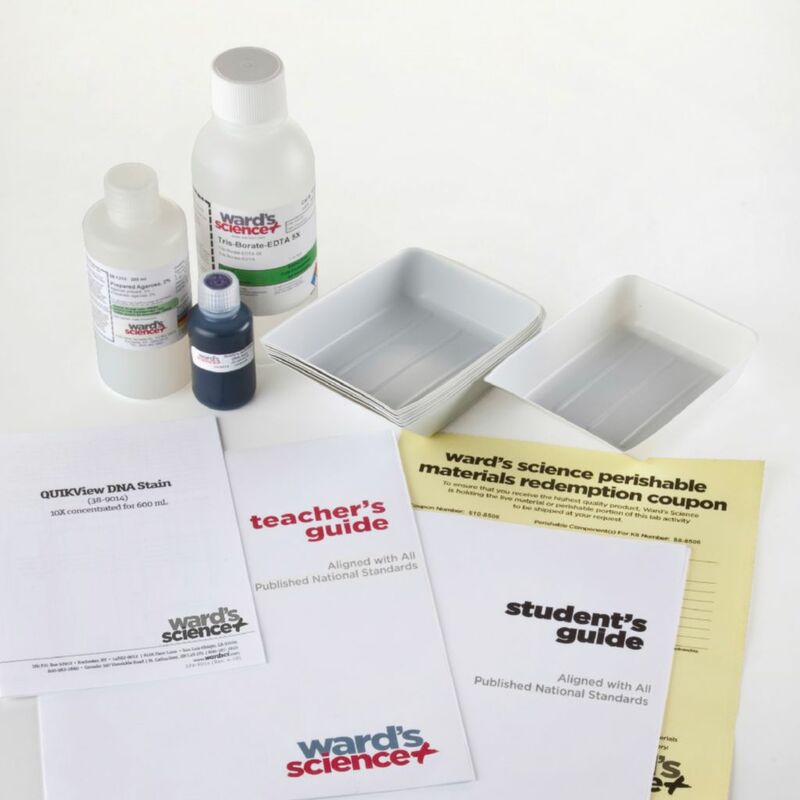 Ordering information: Materials include “Patient” DNA samples; DNA size marker; agarose 2.0%, 200 mL; TBE running buffer 5X, 500 mL; WARD'S QUIKView DNA stain concentrate; gel staining trays; teacher's guide; and student guide. Electrophoresis chamber, power supply, micropipets with tips are materials needed but not included.